Individualised treatment of cancer is a particularly strong area of concentration at the Centre for Cancer Medicine. 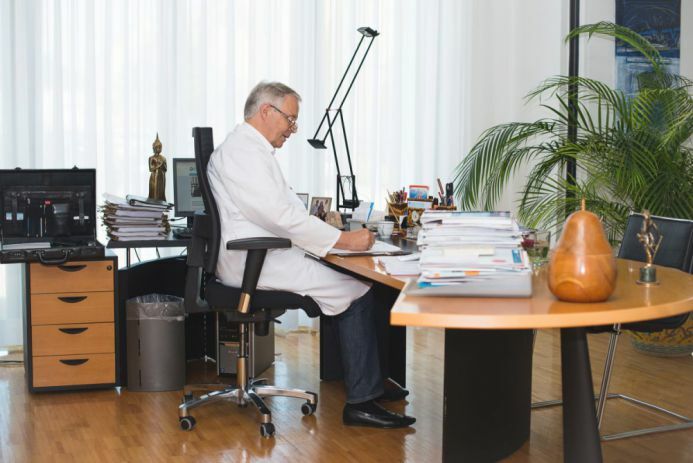 As the former director of the Tumour Clinic in Freiburg, Prof. Dr. med. Clemens Unger brings to bear 30 years of professional experience in the field of diagnostics and successful therapy cancer. Via networking with our highly qualified partners from various fields, we can guarantee optimal counselling and care to our patients during our interdisciplinary consultations. He was a long-standing member of various German and European approval bodies relating to cancer medications. He is able to apply this experience for the benefit of his patients. We look forward to receiving your contact request!